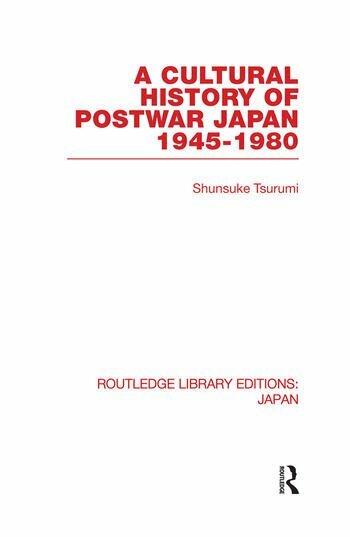 Shunsuke Tsurumi, one of Japan’s most distinguished contemporary philosophers, continues his study of the intellectual and social history of modern Japan with this penetrating analysis of popular culture in the post-war years. Japanese manga (comics), manzai (dialogues), television, advertising and popular songs are the medium for a revealing examination of the many contradictory forces at work beneath the surface of an apparently uniform and universal culture. The author argues that the iconography of these popular forms has deep and significant implication for the development of Japanese national life in the post-growth years that lie ahead.